Do you bring in recruits from out of town for interviews? Call Kevin Smith Transportation Group today at 610-222-6225 and let one of our Program Managers work with you to design a transportation solution that will make sense for your company. A global financial services firm approached us with a request to review their existing transportation solution for potential new hires they brought in to interview. Approximately 1,500 people annually were flown into the Philadelphia region and typically spent one night in the area. Their current solution was in-house, leveraging an aging fleet of shuttle vans, a driver pool that had no real training and weekly problems around peak periods where they couldn’t handle the volume. Add-in flight delays and cancellations and the entire program was collapsing on itself. When they approached us, our solution was simple. Outsource to a professional company and eliminate the operational risks they were currently being burdened with. Their biggest issue was the volume. Their peak periods were too much for the fleet they had and there was no ability to ramp up for those times. While 2-3 vehicles a day handled the normal traffic, an analysis of their last 180 days showed their peak needs hit as much as 7 vehicles on the road. As a leading Financial Services firm, their brand was built around superior service. So having candidates standing around waiting for a ride was counter productive to their own image. They needed a solution that could handle the peak demands. The solution was developed after more than a few meetings with their key stakeholders. We designed a workflow, set expectations on vehicle needs, designed an entire logistical scope and set standards for vehicle type, training and safety. We then wrote an entire RFP for them and then encouraged them to run an RFP. While we were confident we were the right solution, we also thought there was value in them seeing what the market had to offer. This would give them a more informed decision on what decision made the most sense. Don’t be afraid of the competition. While we ultimately won the contract through the RFP, additional strategic ideas also came out of the exercise. It also gave the client a chance to truly see the value of our solution and together, we were able to engage on a program that has a solid foundation. It has been 18 months since the program started and it continues to improve over time. More importantly, recruiting is up 35% for them and the new program has been able to scale up easily to support the additional rides, a key outcome for both sides when the program was first designed. 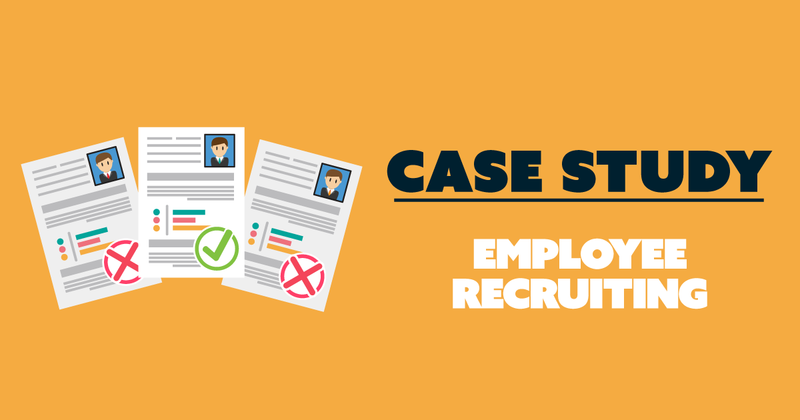 Thank you for reading today’s Case Study on Employee Recruiting. Hopefully, you found this information insightful and you will be able to apply some of these solutions to your specific transportation challenges. For more case studies on the ground transportation industry, visit our blog page here.